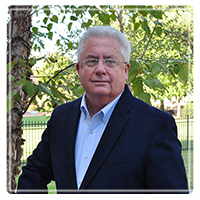 Germantown Therapist: Randall Phillips - Therapist 38138. Individuals and families dealing with catastrophic illness or injury. Session Fees: The fee is $125.00 per session. Aetna, Blue Cross/Blue Shield of Tennessee, CIGNA, MultiPlan, Beacon Health Options and Magellan are accepted. My mission, as a therapist, is to provide competent and compassionate family therapy to individuals, couples and families. I welcome adults, children and teens. Clients find that I am receptive to assisting them with: depression; anxiety; grief; their marriage; divorce; parent-child & adolescent challenges; phase of life concerns; blending family challenges and the challenges that serious illness and or injury can pose to individuals and families. My upmost concern, for each client, in each session, is to focus on what matters most to them. Whether in the hospital or my office I maintain the highest regard for the courage of each patient and client who are willing to explore the challenges they face. Your concerns actually drive the focus of therapy. Each session begins with your assessment of how you are doing and ends with your appraisal of the benefits of the session. Therapy is not something I do for, at or to someone. Therapy is a collaboration, a partnership and I welcome the opportunity and privilege of getting acquainted and joining you in addressing the special concerns that confront you at this point in your life. ABOUT My preparation to become a therapist includes a bachelors degree in Psychology, a master's in Marriage, Family and Child Counseling, additional graduate work in clinical psychology and a PhD in Rehabilitation, the focus of which was medical, legal and psychosocial aspects of chronic and catastrophic illness, injury and disability with special foci in counseling and research. Cognitive Behavioral Therapy; Family Systems Therapy; Trauma; Alcohol and Drug Abuse Counseling; Couples Counseling; Parent-Child/Teen Relationship Counseling; Conflict Resolution; Grief Therapy; Domestic Violence; Ethics; ElderCare Co-ordination; and Research Methods. My self prescribed course of post graduate training and education has included pursuing licensure as a Marriage and Family Therapist and achieving status of AAMFT Clinical Fellow and AAMFT Approved Supervisor. Experience: Clinically, I have worked in community mental health centers and private practice. Additionally, I have several years experience working either full-time or as a consultant for inpatient settings (hospitals). My inpatient experience includes adult and adolescent psychiatric, adult and adolescent alcohol and drug programs and neuro-rehabilitation. As a medical family therapist I see patients and their families in my office or in the hospital during various stages of treatment or recovery for an injury or illness. Individuals, Couples and Families experiencing a catastrophic illness or injury such as cancer, stroke or physical trauma are welcome and encouraged to schedule an appointment. My inpatient experience also includes palliative care. PHILOSOPHY I believe in paying it forward. I am a teacher and mentor. During the course of my career as a therapist I have taught undergrads family studies and graduate students counseling courses and research methods. As an academic I have had the privilege of directing research for an entire university and I am published. It is my great pleasure to be a clinical supervisor and to coach aspiring therapists toward successful completion of requirements for licensure. I am an advocate for my profession, mental health, and very vocal regarding access for healthcare for all and for mental health services specifically.